Do you feel like you have the momentum going towards living your best life, but aren’t sure about your next step? Would you like to feel more connected to your own intuition and higher self, so that you can move confidently in the direction of your dreams? Are you looking for confirmation that you are on the right path? Depending on your needs, I will use a customized combination of Intuitive Distance Reiki and Joy Coaching with intuitively channeled guidance and healing to help you gain more clarity and confidence as you move forward. Are you ready to stop merely surviving in this life and start THRIVING? You want more joy, but you’re not sure where to even start. You’ve gotten used to putting everyone else’s needs first, but it’s leaving you feeling drained and unfulfilled. This package includes a month of weekly sessions using a customized combination of Intuitive Distance Reiki and Joy Coaching with intuitively channeled guidance and healing to help remove current blocks in your body and mind that are keeping you feeling stuck. If you’re feeling motivated to do the work and make some positive changes in your life, and would like extra guidance and healing support while you do it, this package is for you! Are you going through a MAJOR life challenge right now like chronic illness, divorce, the death of a loved one, a career change, or a big move? Do you find yourself with a “mystery illness” that no one seems to be able to diagnose that’s leaving you feeling exhausted, depressed, and in pain? If so, this package is designed for you. I will customize the package based on your current life situation, so that you receive the specific combination of Intuitive Distance Reiki and Joy Coaching with intuitively channeled guidance and healing that you need to gain some of your energy back, decrease your pain, and get you moving in a positive direction on your healing journey. I will also be available for email support in between sessions. Distance Reiki is a gentle yet effective form of energy healing that is safe to use alongside other treatments that you may be receiving. It has also been shown to speed up the healing process following surgery. The Deep Healing package is in no way meant to be a replacement for continuing care with your doctor or specialists. A single session of Intuitive Distance Reiki includes a full-body session with any intuitively channeled guidance provided in a follow-up email, and a follow-up call to discuss your experience and resonance with the information I sent to you. Reiki isn’t just for humans. Reiki can be very effective in treating animals of all kinds too. I had the pleasure of using my Intuitive Distance Reiki on a friend’s dog with terminal cancer recently, which ended up allowing him to sleep better, have the light come back to his eyes, and enjoy life much like a puppy before he passed. I will follow up with you to see how your loved one is doing following the session and any changes you have witnessed. The frequency of treatments will depend solely on your pet’s particular situation and their response to the healing Reiki energy. 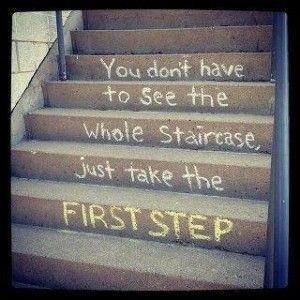 If you’re ready to take the next step on your journey, reach out to me at peacefuljellyfish@gmail.com. I can’t wait to help you create some magic and healing in your life! Once you contact me and pay for the package that’s a perfect fit for you, I will email you a package-specific questionnaire to complete prior to scheduling our first session together. This way, starting with Session 1 in the first week, we can move on immediately to the important work we have to do together! If none of these options feel like a fit for you, but you still want to work with me, please contact me at peacefuljellyfish@gmail.com to schedule a FREE 30 minute phone consultation, so that we can discuss other possibilities! Also, please feel free to email me with any questions about any of the above packages.